I have fun annoying the Teen. The first haiku came to me after she asked me what the weather was going to be like tomorrow. I clapped my hands to my temples, and in my best Gypsy Medium voice, said “I foresee Sun… and… wait… 25 degrees!” (that’s Celcius, by the way) to which she sighed, rolled her eyes, and looked it up on her phone. Turns out that really is the forecast for tomorrow! Yes, I’m just that good. Yesterday when she – for the umpteenth time – misplaced her cell phone, she asked me to call it. So I started calling “here, Phone! Heeeeeere phone!“. “So I started calling “here, Phone! Heeeeeere phone!“. Poor teenagers! Poor parents of teenagers! A testing time! Thanks for hosting this! I’ve been wanting to try it for some time! The teen years…glad they are over! 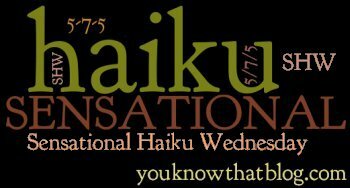 Thank you for your Sensational Haiku Wednesdays! I was hoping to find one (I took part in one about ten years ago). 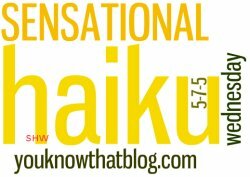 Is this the right place to post Wednesday’s haikus? I didn’t realize the Postcard is for last Wednesday -but am sending it anyway. And have one ready for tomorrow.